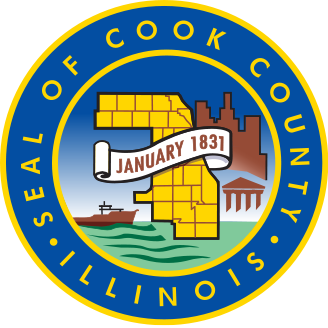 Cook County property tax bills were sent out to homeowners by January 31, 2017. “Nearly 1.8 million property tax bills for the first installment of Tax Year 2016 have been mailed to owners of homes, businesses, and land.”, according to Cook County Treasurer Maria Pappas. When are Cook County 2016 property taxes due? The due date for the first installment of your 2016 tax year property taxes is Wednesday, March 1, 2017. The due date for the second installment of your 2016 tax year property taxes is Tuesday, August 1, 2017. Cook County homeowners can pay their property tax bill online, allowing you to conveniently pay your tax bill from your mobile phone, tablet or computer without visiting the treasurer’s office. If you wish to pay in person, you can pay by visiting any Chase Bank location or at these 139 local community banks. To make an online payment on your Cook County tax bill, please visit the Cook County Treasurer’s Office Payments page. Are your property taxes overdue? Search the Cook County Treasurer website to check if your taxes are delinquent. Have your property taxes been sold at auction? Visit the Cook County Treasurer website to check if your taxes have been sold. When are 2016 delinquent property taxes sold at auction? Unpaid property tax bills are sold at the 2016 Annual Tax Sale, which begins May 4, 2018. Below is a list of other Cook County property tax related pages online available to the public. You can find information regarding your payment status, money owed by your taxing district, pension and healthcare amounts owed, information on previous years taxes and more. The Law Offices of Lora Matthews Fausett P.C. Experienced in the practice areas of Real Estate Law, Mortgage Foreclosure Defense Litigation, Social Security Disability, Business Law, & Estate Law.